Hands on Science fun, learning, and discovery happens every day here at The Children’s Museum. Don’t miss daily animal demonstrations lead by our talented Wildlife Sanctuary staff and daily shows in our digital planetarium lead by our Staff Astronomers. Click here for the daily schedule. 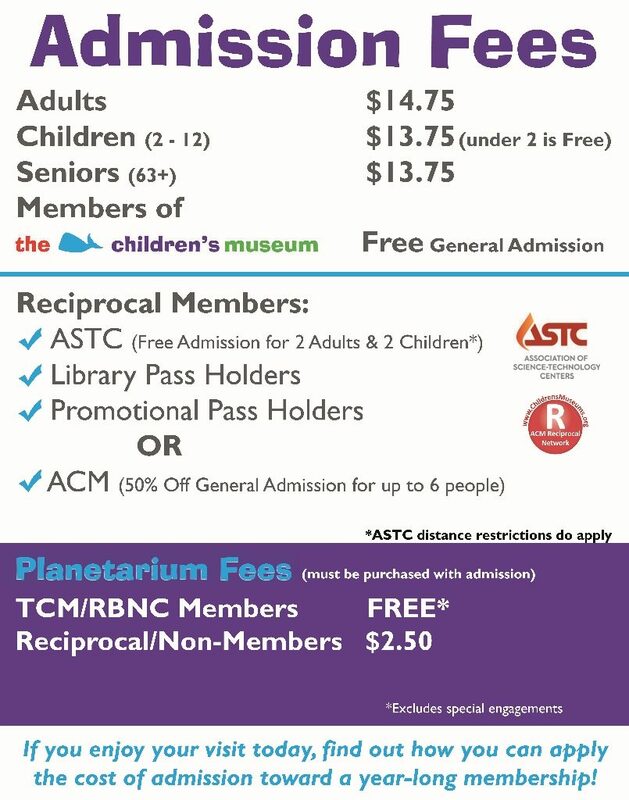 A $2.50 (standard); $3.50 (laser) show fee, for each reciprocal member, is charged for tickets to shows in the Travelers Science Dome at the Gengras Planetarium. Free admission is granted to the two adults named on the card and up to two children under the age of 12 residing in the household. Based on your science center’s/museum’s location: Science centers and museums located within 90 miles of each other are excluded from the program unless that exclusion is lifted by mutual agreement. 90 miles is measured “as the crow flies” and not by driving distance. Based on your residence: To receive Travel Passport Program benefits, you must live more than 90 miles away (“as the crow flies”) from the center/museum you wish to visit. Admissions staff reserve the right to request proof of residence for benefits to apply. 50% off General Admission for up to six (6) people. TCM is not obligated to call other museums to verify membership. The member MUST have his or her card for verification. For more information, including a list of Reciprocal Museums, please visit the ACM Website. The Children’s Museum is CLOSED on Memorial Day, July 4th, Labor Day, Thanksgiving Day, Christmas Eve, Christmas Day, and Easter Day.Wheelchair access is limited to outside entrances. There are no elevators or ramps in The Children’s Museum.Prices and hours are subject to change without notice.